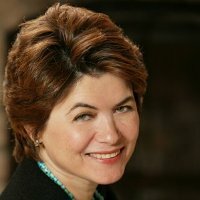 Belinda Lang, founder and principal of Belinda Lang Consulting, is a senior marketing executive and innovation leader with extensive experience successfully building out new business ideas, creating loyalty management programs and developing breakthrough brand and communications strategies. She has held diverse leadership roles in financial services, insurance and healthcare. While at American Express, Ms. Lang launched Membership Rewards, one of American Express’ most sustainable competitive differentiaters. For her work on Members Project, American Expresses’ award-winning online cause marketing initiative, Ms. Lang was recognized in 2008 as one of Advertising Age’s Marketing 50. While at Aetna, Ms. Lang rolled out a global brand strategy and redesigned award-winning brand identity in 2012. Since 2013, Ms. Lang has provided strategic and tactical guidance to a diverse set of clients, including Memorial Sloan Kettering where she has shepherded several successful market launches, including a new advertising campaign, More Science. Less Fear.